If, like me, you have a few extra strawberries in your fridge that are just a bit too ripe for eating plain, may I suggest you put them to use in your breakfast? Joe and I have plans to enjoy these whole wheat strawberry waffles this weekend. The recipe was adapted from this Eating Well recipe, and I think you’ll find they are the perfect mix of decadent and wholesome. 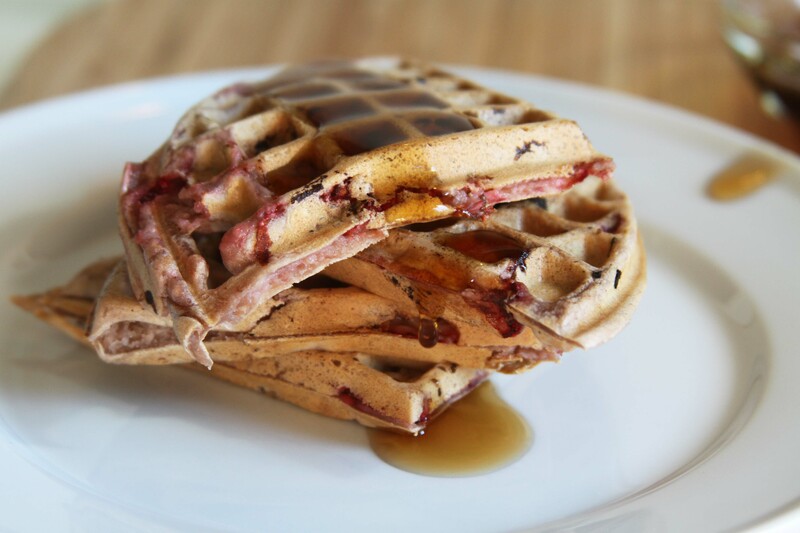 I have had a recent obsession with waffles after ordering some cranberry and goat cheese waffles at a cafe recently. This recipe looks like a keeper, thanks for sharing! What a delicious and health(ier) breakfast option! Have a great weekend. These look awesome! I will have to try them for sure! YUM!!!! I wish I had read this before I made pancakes for breakfast this morning. 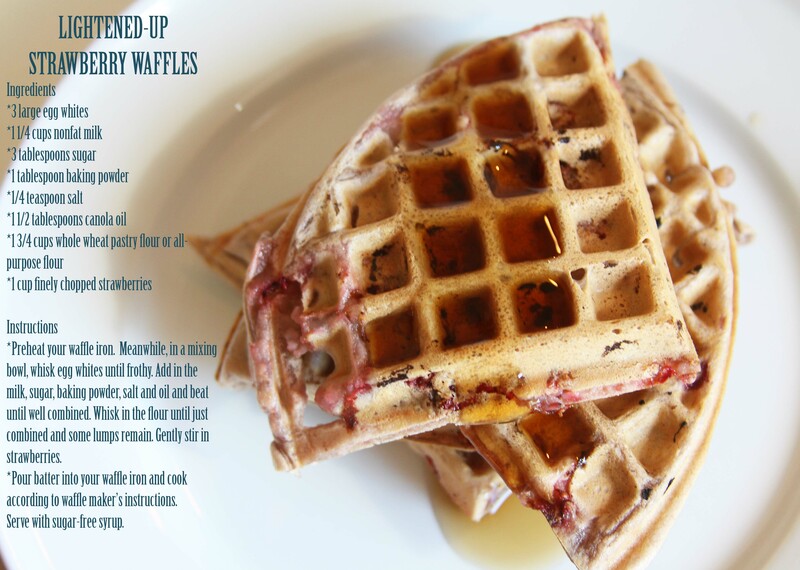 This recipe is similar to my Dad’s homemade waffles, and I was really really craving them. I even have some overripe strawberries in the fridge! I guess this is what we’ll make for supper! Ah I just posted my first waffle recipe yesterday as I finally indulged and bought a waffle maker! I have been going to town with protein waffles – egg whites are so great for getting them crispy and adding in that extra protein punch! I gotta try these, as I’m going berry picking in a week’s time and will have tons of delish fresh strawberries! 🙂 Pinning…!